Colm O’Rourke is the Business Development Officer for NSAI Medical Devices. 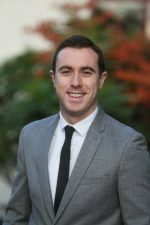 Colm joined the NSAI in 2016 and works in the organisation’s new offices in Galway. Colm is a trained medical scientist and has worked in hospital laboratories in Ireland and Australia. He worked for a number of years with a Point of Care diagnostics company in both the sales and applications side of the business. Colm is a graduate of UCC with a BSc in Biomedical Science. Synopsis: Colm will discuss the latest updates on Notified Body designation and future capacity and how the Medical Device and In Vitro Diagnostics Regulations are changing the European regulatory landscape.